Rock band Mad at the World, comprised of brothers Randy and Roger Rose, is reuniting to record and release their first new album in 22 years. The band released seven albums together between 1987 and 1995. To help fund their return to music, the duo have taken to Kickstarter to help make their new project a reality. "This Kickstarter campaign is the start of something wonderful," the Rose brothers announced on their campaign page. "I convinced my brother Roger (with help of the success of my new Rose record) to do this record with me as Mad At The World. What a cool idea - go back to the beginning, the very sound that put us on the map in the early 80's. Back then, we were hopeful in a dark world, and 30 years later, we'll be the light in the absolute blackness that we call "normality." We have a lot to say, a lot has changed, and in most ways, not for the better. When the funding of this record goes as planned, we will create a new Mad At The World masterpiece - our fresh new sounds will be incredible: deep, lush, dark, bright, and powerful... and you see there's nothing more punk rock than having the guts to do a synth pop record again. Get ready friends; we're so excited to get the opportunity to start this campaign, and if you fell in love with us later in our career, good news! With the hope of this record funding strong, we will do another campaign transitioning our genres from alt-indie to hard rock, so please support us on this ride. If you love the artist, then support the art. Pretty soon, we'll paint something that everyone likes, so let's make these records together again. Please support us here on Kickstarter!" Randy Rose also recently released a brand new album under the name Rose, titled Songs for the Ritually Abused, which can be found on Apple Music here. 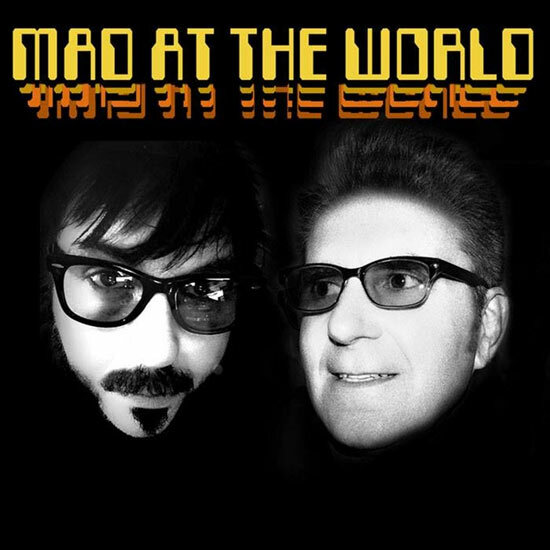 For more info on Mad at the World, visit the JFH Artists Database.